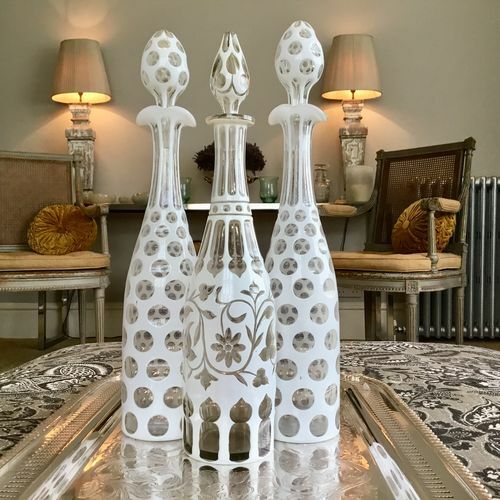 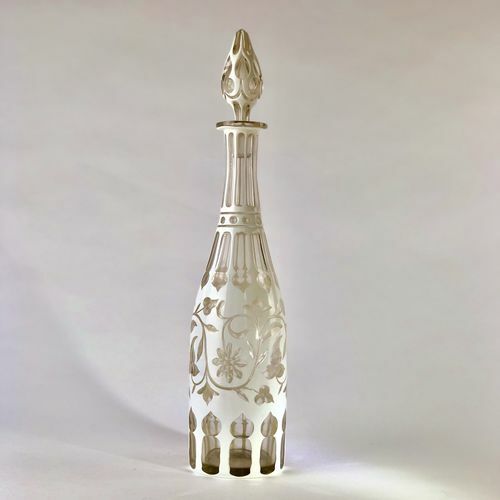 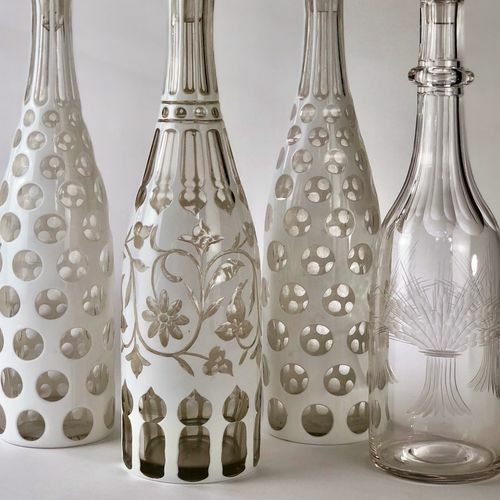 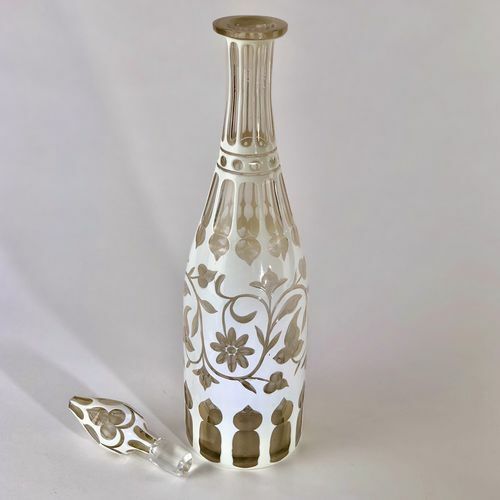 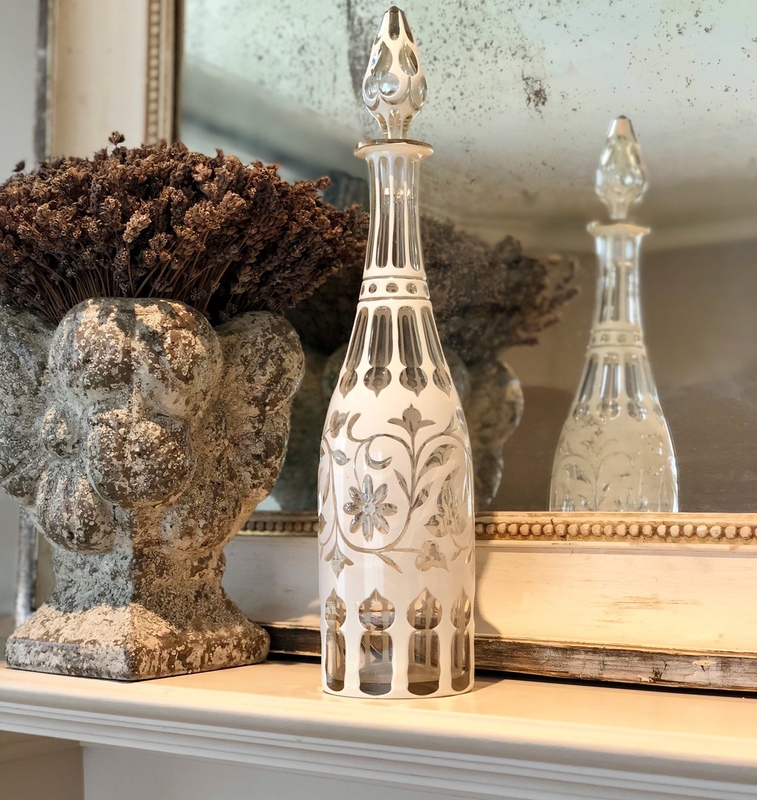 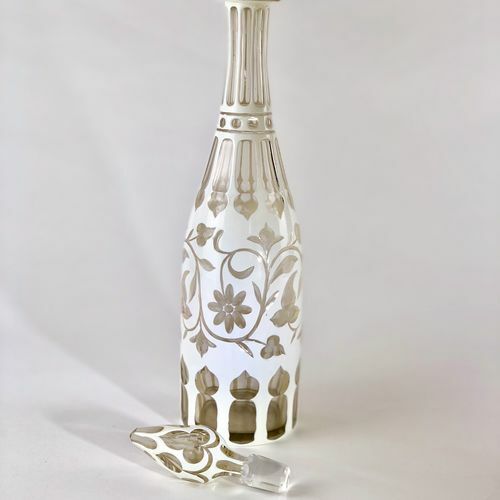 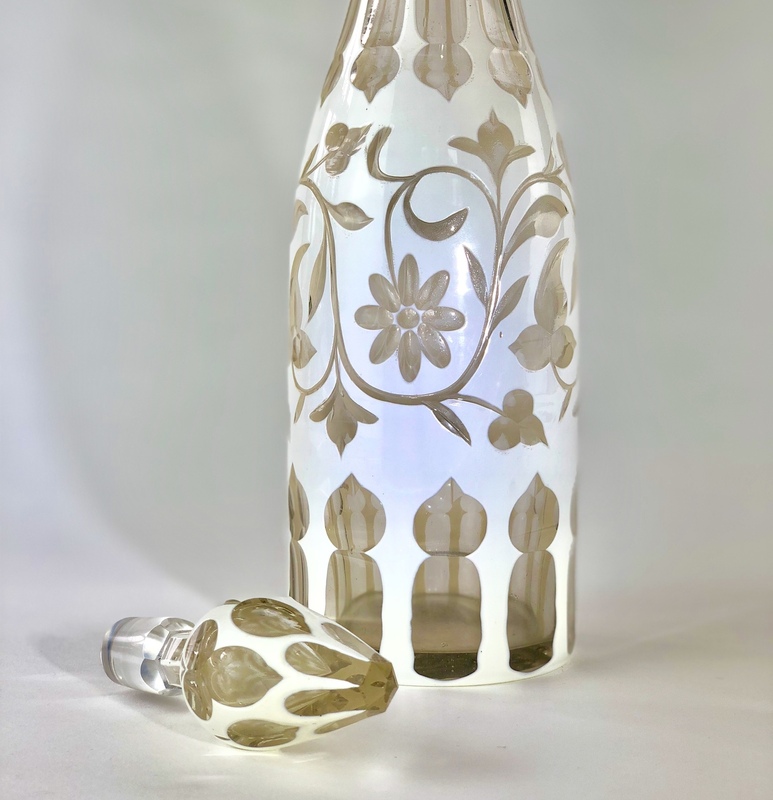 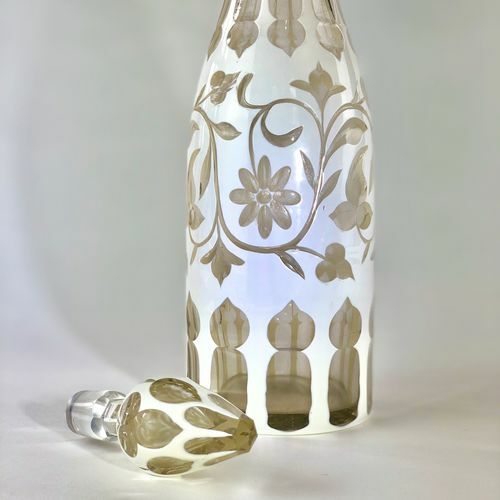 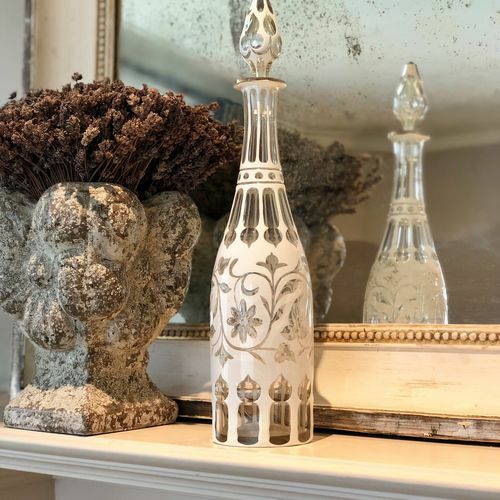 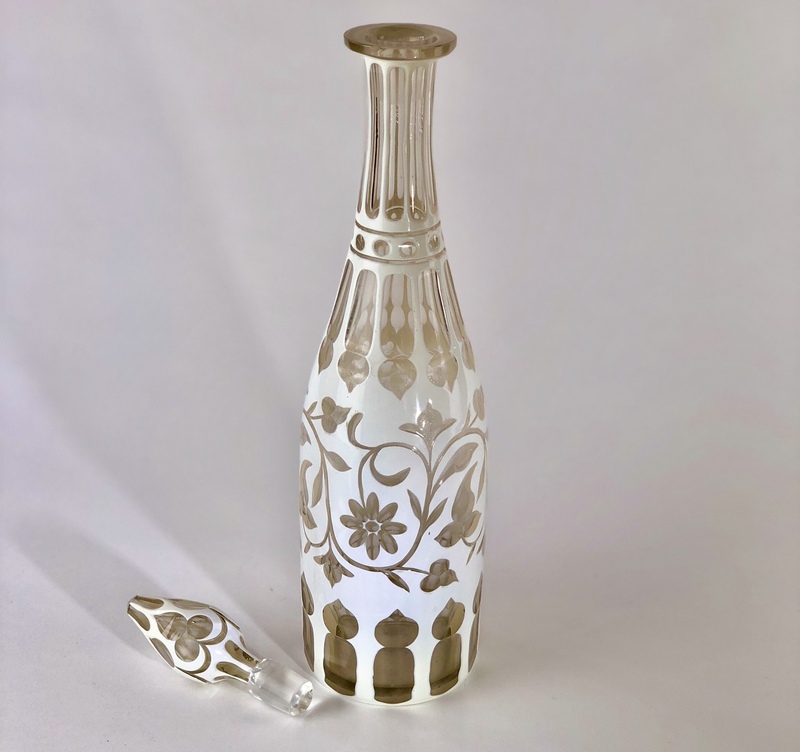 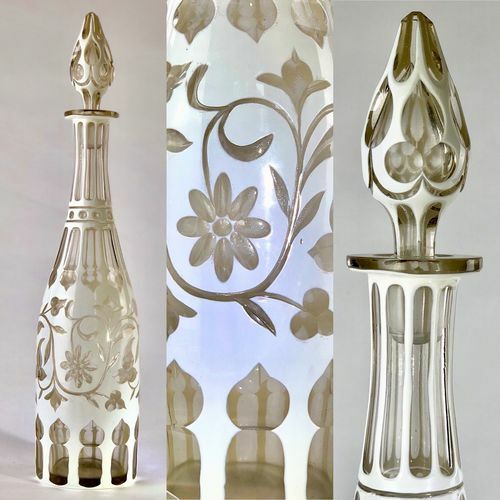 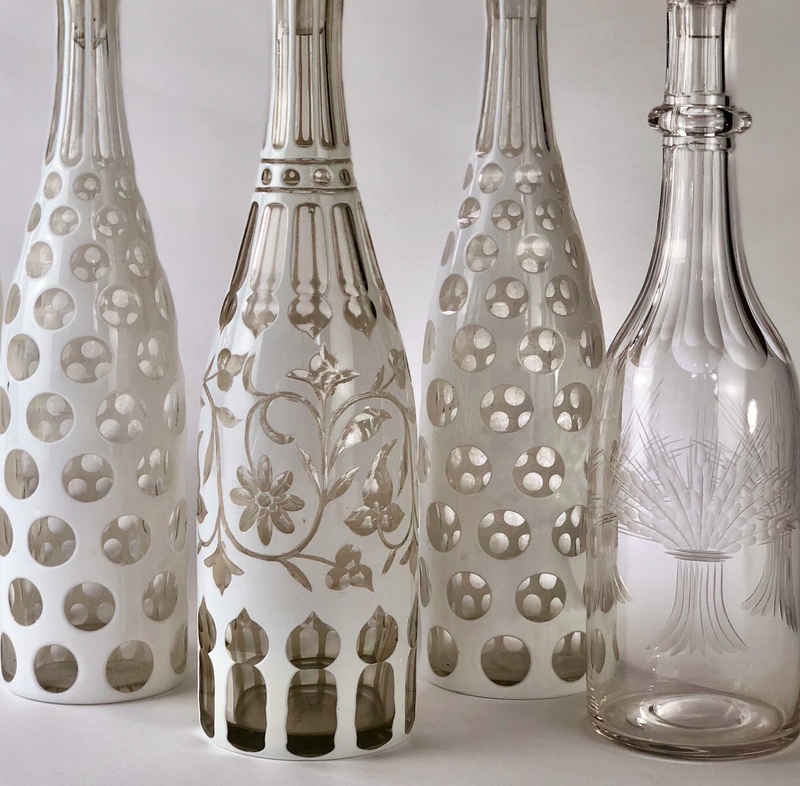 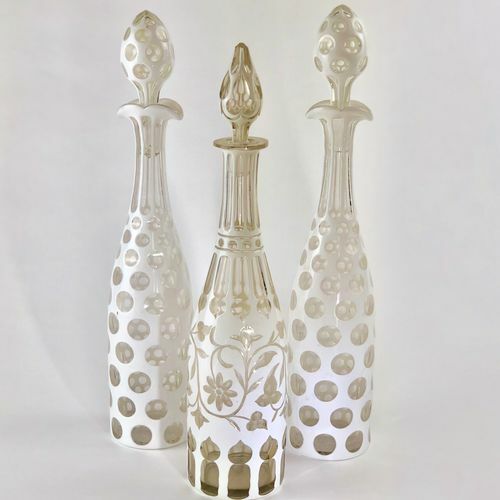 A striking Mid 19th Century Bohemian overlaid white and cut to clear glass tall bottle decanter, Circa 1850s. 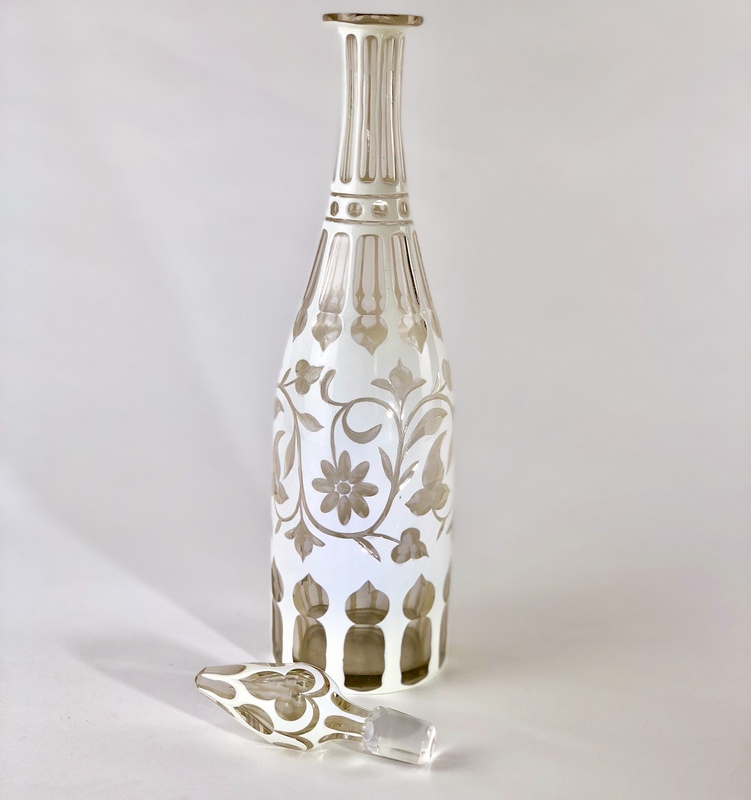 This splendid decanter works beautifully for wine or water. 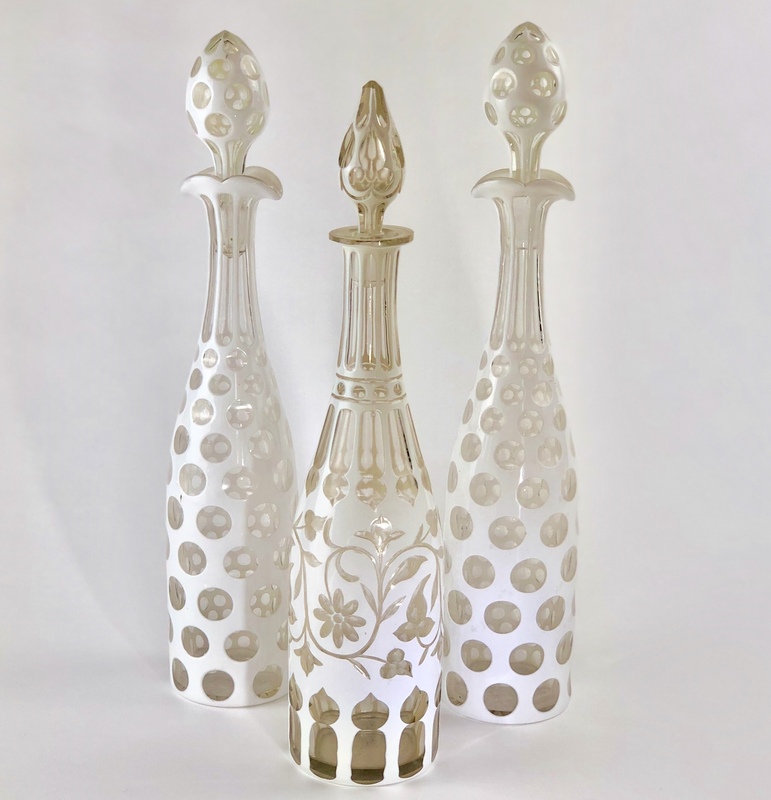 Shown with a similar pair of decanters also available from The Vintage Entertainer.